Across the face of the earth, despite the prevailing gender gap in many countries, women are no longer confined themselves to home and hearth and have learned to take care of themselves by seeking a path that is comfortable to them. They dream and develop passion that appeals to their heart most. In many counties, particularly in Asia, full freedom for women is a far cry as men and the society have a firm grip on them. But the scenario is slowly changing and it can not happen overnight. Among daring women, who have broken the fetters put on them by the society, some want to achieve success on their own by choosing a tough path - outdoor adventure like mountaineering, a risky area that requires sound health, sound mind and trust. The concept of women empowerment to achieve success through trust, leadership, management and adventure has gained currency in the past decade. Empowerment gives them confidence, trust and other basic stuff that will make them a good leader or an achiever. Women adventurers are molded in a different way and they draw our attention because, they do not want to sit in the comfort zone and lead a mundane life as other people do. By taking to adventurism and outdoor activities like mountaineering, etc they come out far beyond the comfort zone and challenge the nature by training their mind and spirit. Their sustained and controlled obsession helps them succeed in their endeavor to conquer nature in the wilderness.. Discussed below in brief are those women who have made history not only by just climbing Mt. Everest but also by setting world records. Until 1970s, Himalayan mountaineering was a male domain and in the last few decades, women have made a foray into this tough mountainous terrain and proved their stamina and physical endurance under extremely harsh weather conditions prevailing on the high mountains. In this respect, these daring women stand taller than Mt. Everest itself, serving as a beacon to those who want to follow them. Lhakpa Sherpa (also Lakpa), a mountain climber and housekeeper, has climbed Mt. Everest as many as seven times, the most of any woman in the world in 2000. 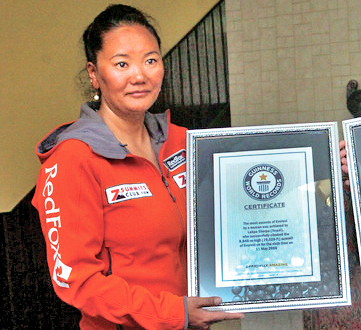 Not only that, she became the first Nepalese woman to climb and descend Everest successfully. Raised in Makalu, Nepal, she was one among 11 children of his parents. Married to George Dijmarescu, a Romanian-American, for 12 years, she has two daughters and one son. In 2000 she was the leader of an expedition sponsored by Asian Trekking. On September 18, 2000 she became the first Nepali woman to summit Mount Everest and survive (see also Pasang Lhamu Sherpa). This climb was with the Nepali Women Millennium Expedition. For the first time, she met her would-be husband in 2000 in Kathmandu and married him in 2002. In 2016, she received recognition as the woman with the most Everest summitings and completed her seventh summit that year. 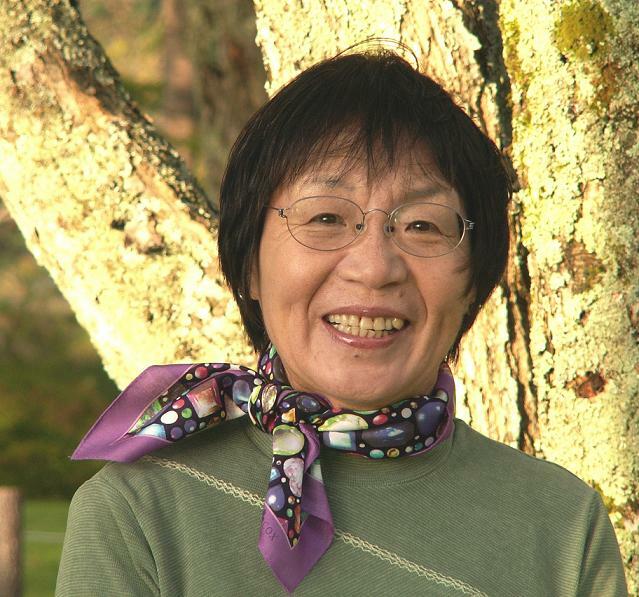 Tabei Junko, (22 September 1939 -20 October 20, 2016) of Japan has the unique distinction of being the first woman mountaineer to have scaled Mount Everest, and also the first woman to ascend all Seven Summits by climbing the highest peak on every continent. Born in Miharu, Fukushima, Tabei is the fifth daughter in a family of seven children and she learned to climb mountain when she was just 10. Coming from a poor family, she did not have the luxury to climb some peaks when she was in school. With help from many sources, she continued her passion and ultimately she became popular world over when Junko Tabei reached the summit on 16 May 1975 - the first woman to make a successful ascent. 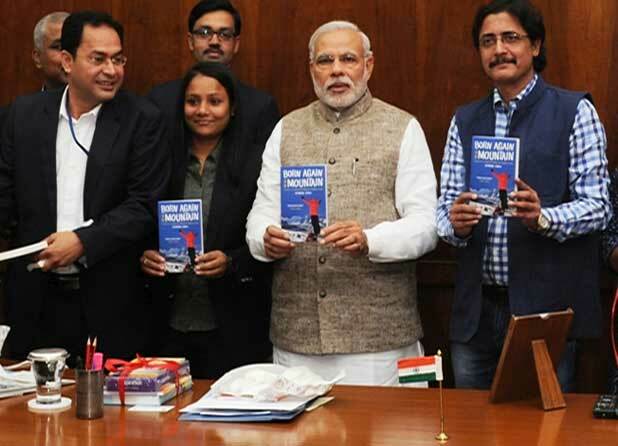 Malavath Purna (born 10 June 2000), an Indian mountaineer hails from from Nizamabad district, Telangana. 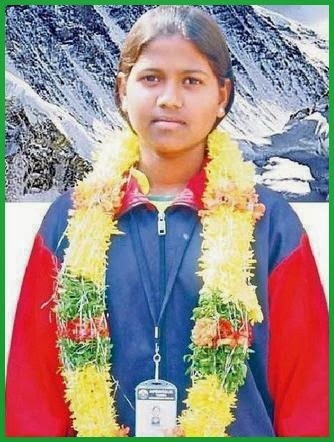 At the age of 13 and 11 months on 25 May 2014, Purna scaled the highest roof in the world - Mount Everest and became the youngest person to have reached the summit. She was accompanied by Anand Kumar, a 16 year old boy and a school student from Khammam, Andhra. Born at Pakala village on 10 June 2000 in a tribal family, her parents (mother Lakshmi and father Devidas) are farm laborers. She joined Telangana Social Welfare Residential Educational Institutions Society for her education. Her talent in out-door sports was spotted by the secretary of the Society Dr R S Praveen Kumar. She was shortlisted for Operation Everest along with a Dalit boy, Sadhanapalii Anand Kumar. She underwent rigorous training in mountaineering at NIM and hiked mountains of Ladakh and Darjeeling, as part of her preparation for her trip to Everest. She and Kumar received rewards from the state government. Rainier, a tall dormant volcanic peak in Washington state. She is a specialist in wilderness medicine and received certification in 2002. As a guide and mountaineer, she had scaled Mt. Rainier 90 times since 2001, a whooping record for a young woman. She teaches Wilderness EMT courses for Remote Medical International.Arnot's summit attempts in 2014 and 2015 had to be given up because of avalanche at Mount Everest. In 2016 she became the first American woman to summit Mount Everest and survive the descent without supplemental oxygen; Francys Arsentiev, also an American woman, reached the summit without oxygen. Earlier, in 2010, she led a celebrity climb up Mount Kilimanjaro, Africa to emphasis the importance of access to clean water. She has made Most ascents - six times - a record by a by a foreign woman. Santosh Yadav, an Indian mountaineer, became first young woman in the world to have climbed Mt. Everest twice, taking a different route from Kangshung Face. She first climbed the peak in May 1992 (then aged 20 in 1992) and then did it again in May 1993. Born in small village called Joniawas in Rewari district of Haryana state, she has come from a rich family. She did her college studies (Maharani College in Jaipur) in Rajasthan and wanted to become a government bureaucrat, hence she was preparing for IAS exams, a tough competitive one. She also learned mountaineering at Nehru Inst. of Mountaineering in Uttar Kasi. 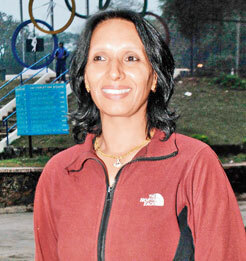 During her Everest mission of 1992, she saved the life of another climber, Mohan Singh, by sharing oxygen with him. Currently she is an officer in the Indo-Tibetan Border Police. Yadav was awarded the Padma Shri 1989. Premlata Agarwal (born 1963), who hails from Jharkhand state on 20 May 2011(at 9.35am), became the oldest Indian woman to have scaled the Mount Everest - 29,029ft peak. When she made this feat she was 48 and a mother of two daughters. She did not stop at that; she went on to achieve another difficult feat, that is she became the first Indian woman to have climbed the Seven Summits on different continents, including Mt. McKinley in May 2013. 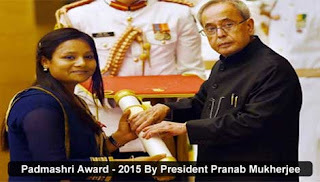 In recognition of her great achievement, Premlata was awarded the Padma Shri in 2013. At this middle age, when other women will be content with household work and women's clubs, etc., Premlata did not find satisfaction by being in the comforts of her home, hence she went out in the wilderness to reach the mystifying Himalayan peak. Yet another first to her credit is, she is the first woman on Mt. Everest from her state - Jharkhand. She was part of a 22 member team that took the extremely windy and greatly risk-prone challenging South Col (Camp 4 at 26,000ft) route from Nepal side. It was led by Steven Sherpa Dawa and guided by the Asian Trekking Agency. 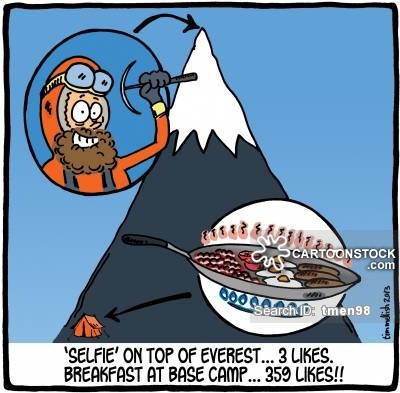 Because of extreme weather condition at 26000 feet on the high mountains such as gale, heavy snowfall, etc, the team had some setbacks and their ascent on Everest got delayed. Earlier, Premlata Agarwal went on expeditions, under Tata Steel Adventure Foundation, to Island Peak in Nepal in 2004, the Karakoram Pass (18,300 ft) and Mt Stok Kangri (20,150ft) in 2006 and the First Indian Women’s Thar Desert Expedition in 2007. The latter was a 40-day camel safari from Bhuj, Gujarat to the Wagah border in Punjab (East). Premlata has made a mark in her life-long vision of empowering women and she is a source of inspiration to other aspiring women. 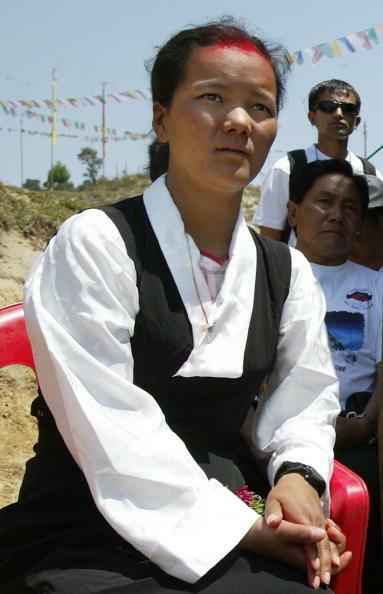 Ming Kipa (born 1988), a Nepalese Sherpa girl, held the record as the youngest person to climb Mount Everest from 2003 to 2010. On May 22, 2003 when she was just 15 years old, she reached the summit, indeed a great feat for a young girl then. She achieved this victory with her brother Mingma Gyula and her sister Laphka, a new record because the climbers were from the same family. Ming Kipa Sherpa scaled Everest from the Chinese side as climbers under 16 are not eligible as per Nepalese law. Her record was broken in 2010 when American Jordan Romero reached the summit on May 22nd of that year at the age of 13 years, 10 months. The earlier record was held by Temba Tsheri who climbed Everest at the age of 16 in 2001. 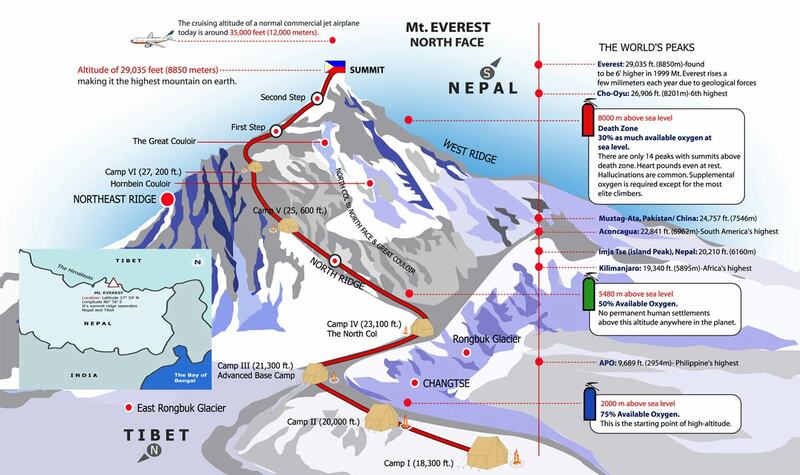 Incidentally, by 2003, about 1200 people had reached Everest since 1953 and about 175 died. 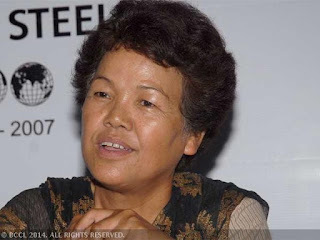 Bachendri Pal (born 24 May 1954 in 1984 became the first Indian woman to reach the summit of Mount Everest. Raised in a village Nakuri in Uttarkashi, district of Garhwal, Uttarakhand state in the Himalayas, she was one of seven children to Hansa Devi and Shri Kishan Singh Pal – a border tradesman who supplied groceries from India to Tibet. She came from a lower middle class family with moderate income. She received her M.A. and B.Ed. from D.A.V. Post Graduate College Dehradun. When she was just 12, she with her friends, climbed a peak -13,123 ft (3,999.9 m) high peak during a school picnic. While doing courses in mountaineering at NIM, she climbed Mt. Gangotri 21,900 ft (6,675.1 m) and Mt. Rudragaria 19,091 ft (5,818.9 m) and that established her as a good mountaineer. In her family she had to face tough opposition regarding her choice of carrier. She preferred mountaineering to teaching profession. Impressed with her dedication to mountain climbing, she became an instructor at the National Adventure Foundation (NAF), which had set up an adventure school for training women to learn mountaineering. the moving ice mass that jolted her and others from sleep. Consequently, half of her group abandoned their ascent for various reasons, but Bachendri Pal and others undeterred, kept pushing themselves up and at South Col (26000 feet) after camping in the early morning around 6.30 am while climbing the vertical ice cliff on May 23, 1984 the team faced snow storm (blowing at roughly 100 km/hr) and the temperature plummeted to minus 30 to 40 degree Celsius and at last they made it to the roof of the world. On the day before her 30th birth day, Bachendri Pal made history. 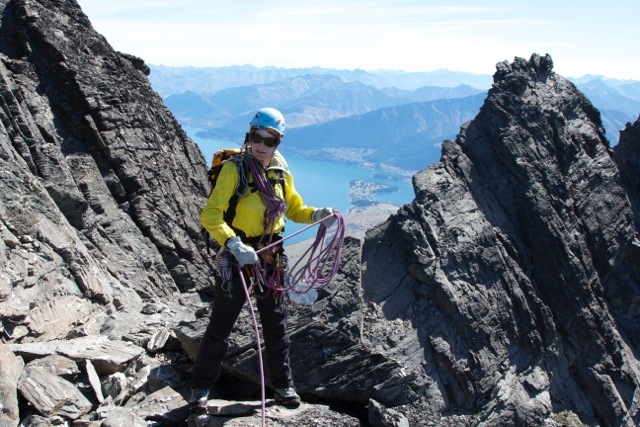 Lydia Bradey of Christchurch, New Zealand took ken interest in mountaineering when she was in her teens. Her parents are Royce and John Bradey and her mother struggled financially to take care of Lydia She actively participated in wilderness expedition at the age of 14, and by 17 daringly had climbed the summits of Mount Cook and Mount Aspiring. Her climbing companions were Rob Hall and his friend Gary Ball. When she was 19, Bradey left New Zealand on an international climbing expedition to places like Mt. McKinley in Alaska, etc., She made ten ascents of Yosemite's big walls in Utah, seven of which were the first ascents by a female. Lydia Bradey became the first woman to summit Mount Everest without supplemental oxygen in 1988, a feat that had not been achieved before by a woman. Tashi and Nungshi Malik (born on 21 June 1991) are the first youngsters and twins to climb the Seven Summits in different continents, besides the North and South Poles, thus completing the Adventurers Grand Slam . The Malik twins (Tashi and Nungshi) are Indian twins, originally from Haryana state and now reside in Dehradun, India. Their father was a retired Indian Army officer, Col Virendra Singh Malik. The girls attended several schools in the states of Madhya Pradesh, Uttar Pradesh, Uttarakhand, Tamil Nadu, Kerala and Manipur, including the famous Lawrence School, Lovedale, near Oooty (Ootacamund), Tamil Nadu. Educated at Sikkim Manipal University, each gaining a first division degree in Journalism & Mass Communication. 01. First female twins to scale Mt. Everest (Climbed at 21 years of age). 02 First siblings & twins to climb ‘Seven Summits’ (highest peaks in all continents). 03. First siblings & twins to complete Adventurers Grand Slam & the Three Pole Challenge. 04. Youngest persons ever to complete Adventurers Grand Slam & the Three Pole Challenge. 05. First twins to reach South Pole on Skis (last degree). 06. First twins to reach North Pole on Skis, (last degree). Besides, they also hold innumerable other records, which no body can imagine. They were conferred India's highest adventure honor 'Tenzing Norgay National Adventure Award' 2015 by the President of India on 29 Aug 2016. On 23 Oct 2016, they were awarded 2016 Leif Erikson Young Explorer Award in Husavik, by the President of Iceland. Arunima Sinha (born 1988) is the first female amputee to climb Mount Everest and also the first Indian amputee to climb Mount Everest. Her ambition is to climb the highest summits in other continents and put the flag of India on them and in this respect, she has already climbed five peaks: 1. Everest in Asia, 2. Kilimanjaro in Africa, 3. Elbrus in Europe, 4. Kosciuszko, Australia, 5. Aconcagua in Argentina as the world's five highest peaks and 6. Carstensz Pyramid (Puncak Jaya), Indonesia. Sinha. hailing from from Ambedkar Nagar in Uttar Pradesh, India was a national level Volley ball player. 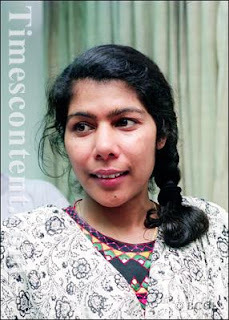 As ill-luck would have it, while traveling by train on 11 April 2011 to Delhi to take a competitive exams, she was pushed out of the train by the merciless chain snatchers. She fell on the parallel track and a passing train crushed her left leg below the knee and the doctors amputated her leg to save her life. Later she was fitted with a prosthetic leg. Undeterred and encouraged by her brother, she focused her interest on mountaineering, unmindful of her physical handicap and later showed her talents in this tough outdoor activity. She received additional training from Bachendri pal, another Woman mountaineer at Uttar Kasi camp under Tata Steel Adventure Foundation. After scaling a few peaks and gaining confidence, she embarked on an expedition to Mt. Everest, partly sponsored by the Tata Group. 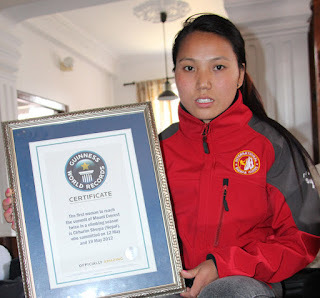 On on 21 May 2013, at 10:55 am, she made history by becoming the first female amputee in the world to scale Everest. She took 52 days to achieve this feat. In 2015, she was awarded Padmasri by the Indian government. Sinha, though physically handicapped, through sheer determination and guts has made history, thus proving that anything is possible under the sun, if we have the courage and trust in us. Lori Schneider became the first person with multiple sclerosis to summit Mt. Everest, on May 23, 2009. 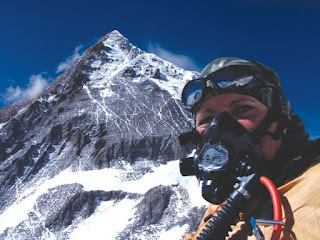 Lori is also the first with MS to complete the Seven Summits, scaling Mt. Kilimanjaro, Mt. Elbrus, Mt. McKinley (Denali), Aconcagua, Vinson Massif, Mt. Kosciuszko, and Mt. Everest. Lori Schneider developed a taste for traveling when she was 15 years old. She traveled to numerous places to get exposed to different cultures, people, and challenging experiences. Graduated from an all-women’s college in 1978, Lori began a twenty-year teaching career in teaching school children. In 1999, when she was 43, Lori developed Multiple Sclerosis, experiencing numbness over 50% of her body. Within a span of two months, it had affected the rest of the body. The doctors confirmed that it was MS, she did not lose hope, rather she came more resolute and had begun to show more interest in travel. Her main target was the mesmerizing mountains across the globe - the highest peaks in Africa, Europe, South America, North America, Australia, Antarctica, and Asia under her belt, Lori became the first person in the world with MS to conquer the "Seven Summits". Lori’s message to adults and children alike, reminds us that if we believe, we can achieve. 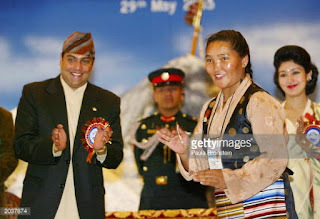 Chhurim is a Nepali mountaineer and the first woman to climb Mount Everest twice in the same season, a feat which was confirmed by the Guinness Book of World Records in 2013. She accomplished this feat in 2012, climbing Everest on May 12 and May 19 of that year, a monumental feat. "People have set different kinds of climbing records in Everest," said Chhurim, sitting on her living room couch directly beneath a string of certificates hung on the wall -- the Guinness plaque included. "But no one has climbed twice within a week. So I just climbed with the sole motive of making a world record." 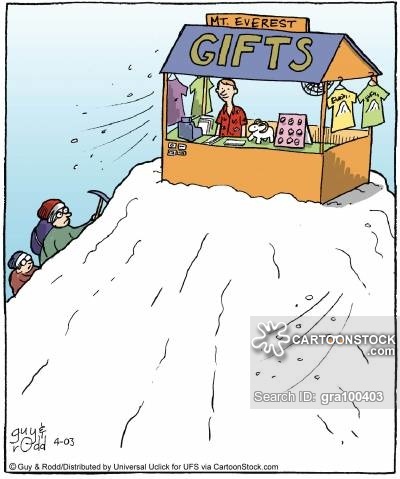 Many records are set on Mt. Everest, but none had made it to the top twice in the same season, within a short gap. Chhurim, then a fifth grader, wanted to grab this record and it was Pasang Lhamu Sherpa -- the first Nepalese woman to climb Everest (she died during her descent) -- was the source of inspiration. She achieved this feat with sustained efforts and faith in her that most girls the same age couldn't conceive of. and try." "To date, the total number of people who have successfully climbed Everest from the Nepalese side, according to the Expedition Department at the Ministry of Tourism, stands at 3,842. Of them only 219 are women, out of whom a mere 21 are Nepalese. Pemba Doma Sherpa (7 July 1970 – 22 May 2007)] was the first Nepalese female mountaineer to reach Mount Everest via its north face and also the second Nepali woman to summit from both the north and south faces. She was is also one of six women to have summited Everest twice. In May 2007, during a snowstorm, unfortunately Pemba Doma fell from an elevation of 8000 meters while descending Lhotse. The fall was witnessed by Australian mountaineer Philip Ling who was also climbing the mountain. Two other Sherpas also died while trailing a group of clients during a snowstorm.